All our towels are made from high quality absorbent microfibre. 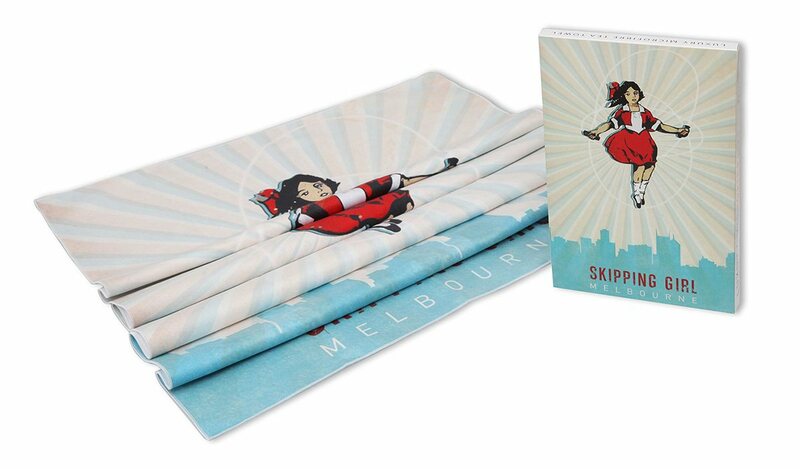 Our tea towels have a smooth flat finish so as they do not leave streaks. Our No Sand beach towels have a waffle like finish that we produce that stops sand getting trapped in the fabric. Microfibre ticks almost every box. It’s able to absorb over seven times its weight in water while drying faster The microscopic fibres in Microfibre attach themselves to tiniest dust and dirt particles, which means microfibre also reduces surface bacteria by up to 92% without the need for chemicals Environmentally, Microfibre competes with cottons: Neither are perfect however, Microfibre requires fewer resources in its production and use phases plus has a longer life span. According to the World Wildlife Foundation (WWF), cotton can take more than 20,000 litres of water to produce just 1kg of cotton. Cotton represents 2.4% of the worlds crop land, as the WWF states, though 11% of all global chemical pesticides are used in its production. Microfibre is produced in managed and controlled environments. It’s far more durable than cotton giving it a much greater lifespan — it can be washed and reused up to 500 times. Our KE Design microfibre products are dyed using special environmentally friendly water-based inks.